Murmansk Shipping Company (MSCO) has signed a major contract to transport coal produced in the Russian Arctic to Europe via the Northern Sea Route. The contract was signed by MSCO and Sibanthracite Overseas, a subsidiary of Russian coal company VostokCoal, and spans an initial period of five years. VostokCoal manages the development of the massive Taimyr coal basin, home to one of the largest anthracite coal deposits in the world. MSCO described the contract as one of the largest shipping contracts related to the transport bulk cargoes ever in the Arctic. Under the agreement, MSCO vessels will transport ‘large quantities’ of high-quality anthracite coal mined from Russia’s Taimyr peninsula via the Port of Dikson, located on the Kara Sea, to ports in Europe. The contract is expected to commence in 2019 with the start of coal production at Taimyr. MSCO said a ‘significant’ portion of its fleet will be utilized in fulfilling the contract. 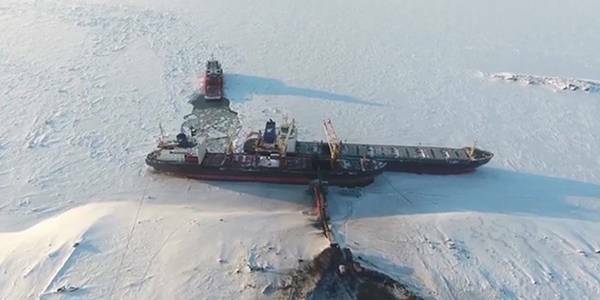 Shipments from Taimyr are expected to take place year-round, requiring icebreaker assistance in the winter.